It seems this year has been an especially tumultuous one for the waters of Destin. Several major boating accidents have led to catastrophic injuries and death. Preventing accidents can be difficult because often times people are just not accustomed to the hazards that come with operating a vessel on the open waters. However, training, experience, and improvements in boating design and safety features have all reduced the likelihood of boating accidents. As recently as August 11th of this year, one of Destin’s own died in a boating wreck near Crab Island. A few weeks before, a young tourist lost a foot in a jetski wreck in Joe’s Bayou. Tragedies like these give reason for concern. If you or a someone you love has been injured in the waters of Destin or Panama City Beach, please give us a call today. The consultation is free and you will speak with an Attorney. our Fort Walton Beach Law Office at 850.243.4227. 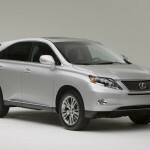 After a problem with unintended acceleration, Toyota has recalled more than 150,000 Lexus RX crossover vehicles. Both the Lexus RX 350 and 450h were recalled because of problems with floor mats entrapping the accelerator pedal. The consequences of this malfunction can result in serious injuries sustained in car accidents, or even fatalities. Toyota will begin notifying the owners of these recalled vehicles in August. If a car defect has caused you or a loved one to suffer an injury, contact the Vince Bruner Law Firm in Panama City or Fort Walton Beach Florida today at 1800BRUNER1. 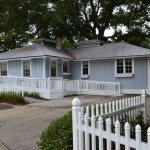 We will meet and serve clients anywhere in Okaloosa, Walton, Bay, and Santa Rosa Counties. 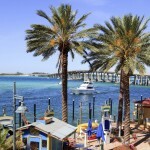 Official in July 2012, we have re-opened a law office in Panama City, Florida to better serve our clients. Whether you are in Chipley, Bonifay, Blountstown, Altha, Marianna, Wewahitchka, Port St. Joe, Mexico Beach, Panama City Beach, Crestview, Defuniak Springs, Vernon, Ponce De Leon, Ebro, Freeport, Destin, Alford, Wausau, Cottondale, Greenwood, Sunny Hills, Graceville, Caryville, Apalachicola, Westville, Campbellton, Grandridge, or Navarre we can meet you by appointment. Call 1800BRUNER1 for a FREE consultation. Advances in medical technology have saved a countless number of lives throughout the years. Artificial organs, prosthetic limbs, and prosthetic joint replacements have all undoubtably improved the lives of millions and served as a great achievement for humanity. However, many times these devices do not function as intended. Due to the negligence of the manufacturer or distributor of the product, a defect may exists such that it makes the product unreasonably safe. In Florida, product makers and distributors are held to a higher standard than the norm for the various medical devices they place into the market. Many people have used a medical device (such as a defibrillator) in order to better their health, only to suffer injuries from that same device. 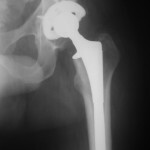 Medical devices can include: Stents, Implants, Contraceptives devices, Defibrillators, Joints Replacements, and others. If you’ve been harmed by a dangerous or defective medical device, you have the right to seek compensation for your injuries. Pharmaceutical companies are experienced at fighting lawsuits, but with over 25 years of practice in pharmaceutical law our firm is experienced at fighting back. Don’t wait any longer. The consultation is free, and you generally won’t owe anything unless you win. Call Vince Bruner of the Bruner Firm today at 1-800-Bruner-1. We have Law Offices in Panama City and Ft. Walton Beach, where we can meet with you at any time. We will even meet anywhere in the Okaloosa, Walton, Bay, Holmes, Washington, Gulf, and Calhoun county. Don’t wait another day. Many of the most dangerous accidents and injuries happen in the construction sites that proliferate the gulf coast. By the numbers alone truck accidents account for over 20% of fatal work injuries and at least 10% of nonfatal workplace injuries in United States; far more than any other field. Although much of the time safety precautions are in place, they may be inadequate or wholly ineffective at keeping some of the hardest workers in our country safe. Destin, Panama City, Panama City Beach, and Fort Walton Beach have all experienced rapid growth throughout the last few years. In fact, both Okaloosa and Walton County have grown tremendously throughout the past decade. Not surprisingly, increased growth leads to new job creation in the construction industry; and with that, an increase in construction site related accidents or injuries. Our firm has handled cases in Panama City, Freeport, Defuniak Springs, Crestview, and Destin. If you need an experienced Personal Injury Lawyer in the Florida Panhandle call the Bruner Firm today, at 1-800-BRUNER-1. Attorney Vince Bruner and his staff is ready to help. There is no excuse for individuals or businesses that take needless risks with other people’s lives. At the Bruner Firm, we strongly believe in justice for the victims of preventable accidents. To discuss your case with our Ft. Walton Beach Lawyer, call us today at 1800BRUNER1. Jet skis, PWC’s (Personal Water Crafts), Sea Doos, WaveRunners; whatever you call ’em, there’s no question these high-powered boats have created new dangers for our waterways. Although jetskis can be very fun, when you couple a high horsepower engine with a small, fiberglass body, you get an incredibly high performance watercraft that may be difficult for many people to operate safely. 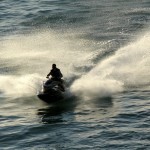 Our Law Firm specializes in handling injuries resulting from Wave Runner wrecks and other various boating accidents. Look at our results page for more information regarding our experiences in past cases. If you or a loved one have been injured in any type of boating or jet ski wreck have been injured in the waters of Destin, Fort Walton Beach, Okaloosa Island, Panama City Beach, or any of the other surrounding Gulf Coast Beaches, contact us immediately at 850.243.4227 or 1800BRUNER1. Improvements in technology and the process of globalization have enabled consumers to choose from a wider array of products than ever before. This is a positive development in many ways, but it also has its drawbacks. For example, many of us now buy products without considering where they were made – or how closely their production is overseen. Additionally, the sheer volume of products that have entered the marketplace has increased exponentially. Although the government and various consumer protection groups attempt to monitor the influx of new products in the marketplace, it has become an increasingly tiresome and unrealistic task. 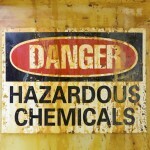 Much of the time, the dangers of a product are not widely known until it is too late. Products with design or manufacturing defects can pose significant risks to thousands, if not millions of consumers. If you or a loved one has been harmed by such a product, you may deserve compensation for the losses you have suffered. The Bruner Firm can help. Fill out our contact form or call 1-800-BRUNER-1 today. Motorcycles are powerful machines that require a certain degree of skill and experience to operate safely. However, even experienced bikers run the risk of a motorcycle accident every time they drive. Motorcycle crashes occur frequently and often have serious consequences, especially if the motorcycle rider does not wear a suitable helmet to protect his head. A motorcyclist who has an accident is 26 times more likely to die than someone riding as a passenger in a car. Very little protection is offered to riders on a motorcycle in the event of a collision with another motor vehicle. The lack of airbags, seatbelts, and other safety features means that victims of motorcycle accidents are much more susceptible to serious injury than passengers in a car. Recovering from a motorcycle accident can take years and injuries can include broken bones, burns, internal injuries, head injuries, and spinal cord injuries. In the most serious cases, motorcycle accidents can lead to permanent disabilities, amputation, or death. Motorcycle accidents often occur because motorcycles are less stable than cars and require a certain amount of balance. Misalignment of the front and rear tires at high speed can cause the front end of the motorcycle to become unstable and “wobble”. If this issue is the cause of a motorcycle accident, the manufacturer of the motorcycle could be financially responsible for any resulting injuries due to product liabilities. Handlebar defects, tire defects, and fuel line defects are other product liabilities that can cause a motorcycle accident. Motorcycles are much smaller and, typically, much faster than cars making them difficult for car, van, or truck drivers to spot. Many motorcycle accidents occur because the driver of another vehicle did not see the motorcycle; however, this does not excuse the driver from liability in the accident. Approximately two-thirds of motorcycle accidents involve another vehicle that violated the motorcyclist’s right of way. This is exceptionally dangerous at intersections, where about 70% of motorcycle accidents occur. Road hazards are also a frequent cause of motorcycle accidents in Broward County. Examples of road hazards could be potholes, oil slicks, puddles, and debris on the roadway. Inclement weather can also contribute greatly to motorcycle accidents, especially in South Florida where weather conditions often change quickly. Another cause of motorcycle accidents can be inadequate maintenance. This can lead to engine or brake failure. Operating a motorcycle under the influence of drugs or alcohol also greatly increases the chances that a motorcycle accident will occur. Individuals who have been injured in a motorcycle accident may be entitled to compensation for medical bills, lost wages, and other damages suffered. Laws regarding motorcycle accidents are different than for car accidents, so it is important to speak with an experienced motorcycle accident lawyer as soon as possible after the accident. Consulting with a ft walton lawyer can help you understand your rights and options and may allow you to recover compensation for your injuries. Welcome to the future home of Vince Bruner & Associates. We specialize in automobile accidents, watercraft injuries, motorcycle wrecks, prescription drug liability, paralysis, and other serious personal injuries.